Members of the Muslim Student Association and the community will have the chance to sample Middle Eastern cuisine and learn how to better bridge the gap between Islam and Christianity during upcoming events at Western Michigan University. MSA will be sponsoring an event titled "Islam and Christianity: Coalition or Collision?" from 6 p.m. to 8 p.m. this Thursday in the North Ballroom of the Bernhard Center. "The purpose of this event is to promote peace, tolerance and understanding between the two largest religions in the world," said Sarah Husain, sophomore majoring in business and president of the public relations committee of MSA. William Baker, an internationally known speaker from California and founder of Christians and Muslims for Peace, will be at the event, Husain said. There will also be a free dinner featuring Middle Eastern cuisine. The event is free and open to the public, but there is limited seating and the deadline for reservations is today. To make reservations, visit www.rso.wmich.edu/msa. CAIR likes Baker's phrase "more in common than you think" so much that it uses it in other contexts too, for example, in the series it is co-hosting with Elderhostel that I have previously commented on. A little research finds Baker has spoken at many CAIR events. 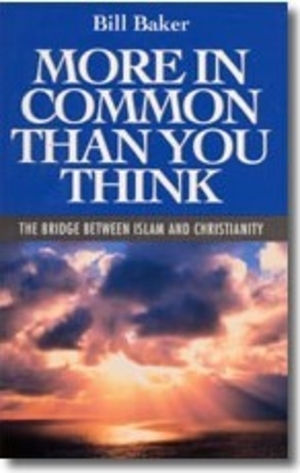 CAIR's New York office announced "the renowned Christian scholar," Mr. Bill Baker, would be giving a keynote speech at an event it apparently co-sponsored on Sept. 7, 2002. Baker appeared at a CAIR event in Florida on Aug. 12, 2003, according to Ray Hanania. A CAIR poster indicates he spoke at a New Jersey event on Oct. 18, 2003. That CAIR promotes and hosts a neo-Nazi comes as little surprise to me; but what about all those politicians, journalists, academics, clergy, and others who accept it as a mainstream organization? What do they have to say about its affiliation with such a person? June 19, 2004 update: American Muslims for Jerusalem, about whose phony moderation I have previously written, has also sponsored William W. Baker, for example at its May 18, 2002, conference, "Justice in the Holy Land," in Santa Clara, California. Live coverage of the conference can be viewed at Islamicity.com. This leads me to wonder how deeply this neo-Nazi has penetrated the Islamist establishment. 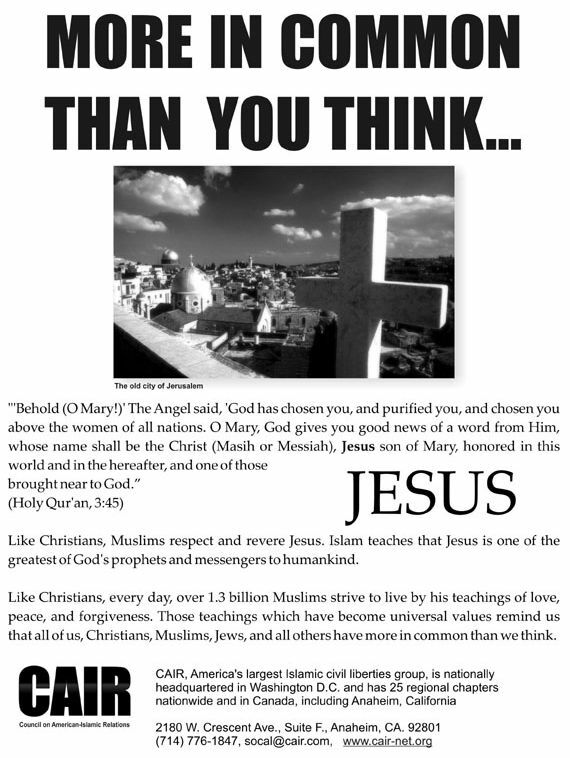 Dec. 25, 2013 update: Andrew Harrod refutes the Islamists' Jesus kumbaya (the latest version of which was an article by Ibrahim Hooper titled "We have more in common than we think," in the Dec. 23, 2013, issue of USA Today) at "CAIR's Christ: Muslim-Christian Common Denominator or (Deadly) Divider."